This one is in wonderful condition. It is discounted due to 328 button holes fitted. 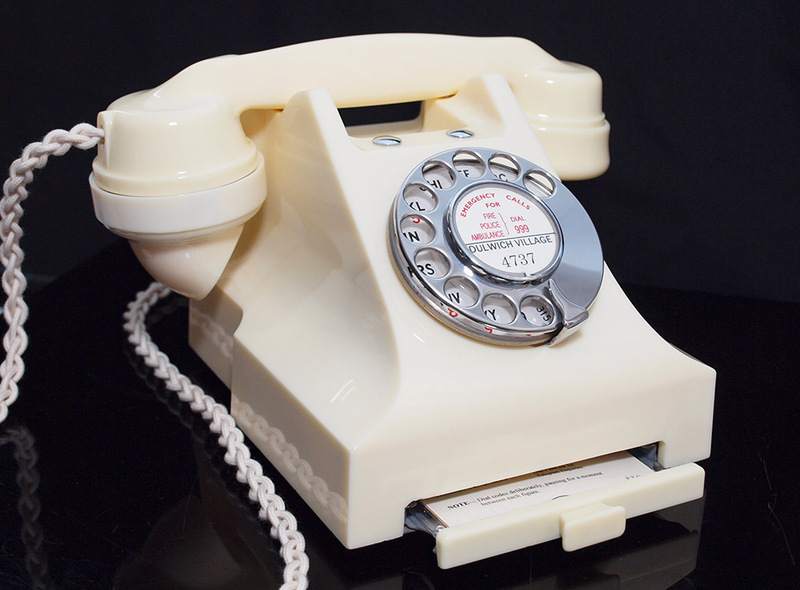 If not modified this telephone would be priced at £395. This is a lovely example of a GPO 332L with drawer. It has been stripped down and rebuilt after each part has been cleaned and polished. 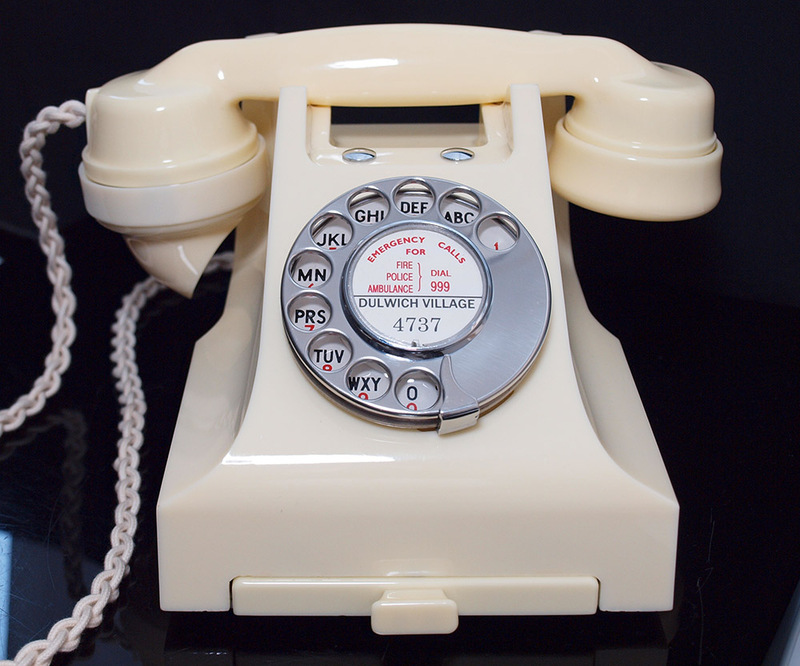 It has been fitted with a best quality all British manufactured hand plaited raided handset cord, a GPO specification round plastic ivory line in cord with a UK telephone plug socket. It is fitted with an electronic microphone to bring the speech quality up to modern standards. 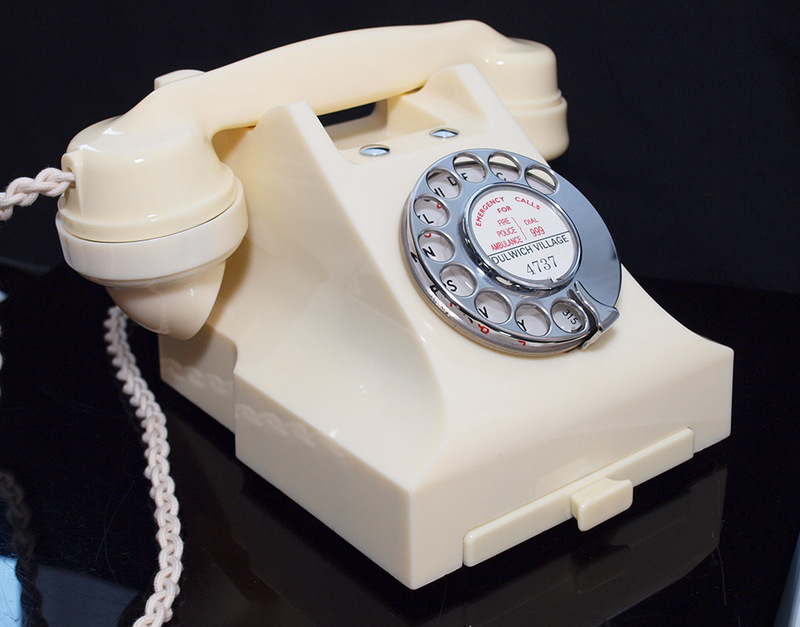 The handset is is dated 1957 and it has a genuine GPO No12 alpha numeric dial with a stainless steel finger dial. 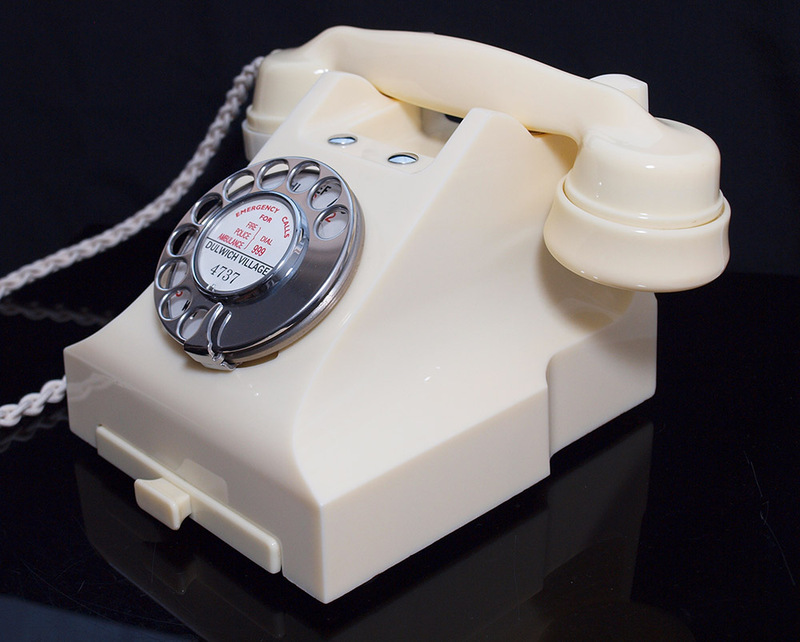 This telephone has had two button holes fitted which I have blanked off with GPO chromed plugs. The mouth piece is slightly lighter in colour. Otherwise this is in perfect condition and fully tested with a special line simulator and then tested on out own BT landline. I can fit this with a dial label with your information at no extra charge.